Bonafide Man – Turn it up! With summer holiday around the corner and the beach or bush on our minds, we still got to look the part this season. What better way to look awesome and stylish with the new style guys are calling “TURN UP” deriving from the 80s. 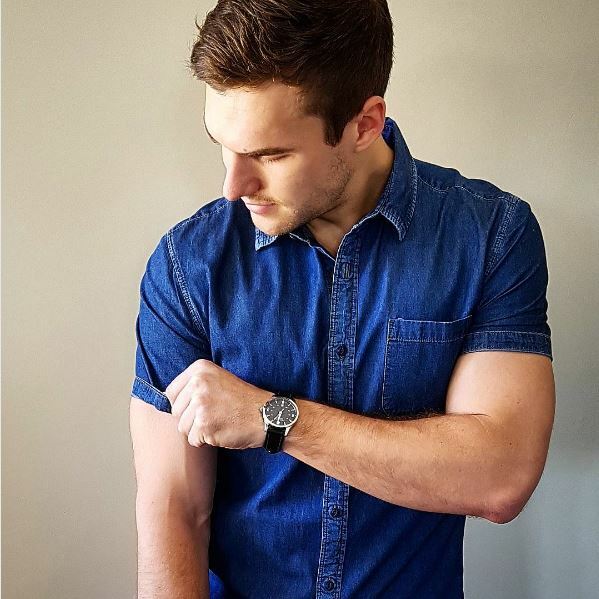 By rolling up or turning up the sleeves of your summer shirt, you get a look that gives the impression of a longer than normal fit and one that’s tighter around your arms…therefore making you look taller and more defined. With this in play, you look more fit and ready for a holiday style to remember!! The Urban Dictionary describes “Turn Up” as getting loose and acting wild, which is exactly what this new style portrays. By turning up your short sleeve shirts, you start getting the new summer look for 2016 leading into 2017. Turn up summer shirts are now being created specifically for the rolling up of the sleeves, some even having the sleeves stitched up to a roll already. Different turn up sleeve to shirt colours might also be visible (white turn up with a blue shirt etc.). So when shopping for a new summer look, don’t be confused when picking up that stitched up sleeved shirt…just roll with it and try it on. Try mixing it up by purchasing T-shirts (v-neck/rounded collar) and short sleeve button up turn ups. This way you get to switch your wardrobe around by making it versatile in shirt design and wear. Have a jolt this summer with your new “Turn Up’s” and if you are keen to post any pictures of your turn up style, feel free to do so in the comment box. TILL NEXT TIME, HAVE A GOOD ONE! !